Dammy Krane Does Not Know His Age? Dammy Krane says he is 23 in a new tweet, while his Wikipedia page says he is 25 years old. So how hold is the former Hypertek records artiste? Dammy Krane has confused the internet - is he 25 or 23? 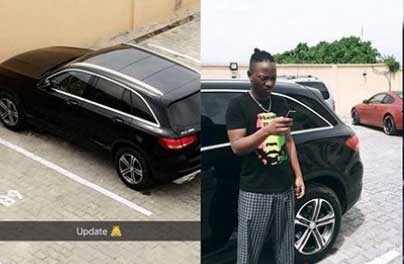 The former Hypertek Music artiste caused some confusion while responding to a jab directed at him over fellow musician and Mavin Records signee, Korede Bello. A fan had accused Dammy Krane of having a hit single when Korede Bello was still a teenager, but now Korede Bello who came into the music industry way after him had surpassed him. 'I sang my first hit at 16-years, now I'm 23 years'. But his profile on Wikipedia disputes this claim. There, it says he was born in 1992 which technically should make him 25 years old. In the same profile, its also written that he signed his first record deal in 2012 at the age of 20 which backs up the date of birth written on his page. We guess sometimes the desire to defend oneself can make one forget his age. Please Dammy Krane, how old are you? Meanwhile, see what he wrote below.